You may have grounds for a medical malpractice suit if you suffered a poor health outcome due to actions which fell below an accepted standard of care. These cases are not simply about not getting a result you would have wanted or suffering harm per se; these types of things can happen even when all the proper steps were taken in treating you. Furthermore, the injury must have led to a specific problem, such as physical pain or additional medical costs—if your doctor misdiagnosed you, for example, but you suffered no harm as a result, you would not be able to sue him. Medical malpractice claims may be brought against individual providers, hospitals, pharmacies, insurance companies and any other entity in the health care field. Many types of issues fall under the scope of medical malpractice. They include failure to diagnose an illness, improper treatment, failure to inform you of known risks for a procedure or treatment that would have led you to not pursue it, medication errors and surgical errors. Like many legal matters, medical malpractice claims are subject to a statute of limitations, or a timeframe in which you must take legal action to receive compensation. This can vary between states, with the typical window being between six months and two years. While there may be exceptions in some instances, this requirement is pretty firm, and regardless of the strength of your case, you would not be able to pursue it after this period has expired. Are Medical Malpractice Cases Difficult to Win? Generally speaking, medical malpractice cases are difficult to win. The burden of proof is one the plaintiff, and his attorney must show, through the testimony of expert witnesses, that the defendant took actions that fell below an established standard of care, and those actions specifically led to the poor outcome. This last part can be difficult to prove sometimes. Many people who bring medical malpractice claims are already ill or injured. For example, if a family sues a doctor for wrongful death after a loved one with cancer receives a certain treatment, proving it was the treatment and not the cancer itself can be a challenge. Insurance companies aggressively defend medical malpractice claims, and nationwide, 85 percent of verdicts returned favor the health care provider. While this may sometimes be due to inexperienced attorneys, or cases that did not have merit, it shows that the odds are stacked against the plaintiff even in the strongest of cases. How Does My Case Go to Trial? In most states, you will need to submit your claim to a medical malpractice review board. This panel will review all available evidence and testimony and determine if medical malpractice may have been a factor in the health outcome. These rulings do not entitle you to anything and are simply a hurdle you must clear to get to trial. 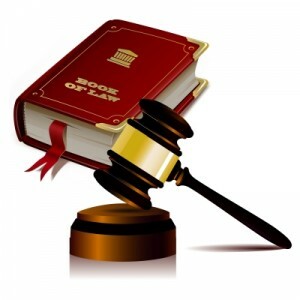 If the review board does not believe malpractice occurred, chances are the court will decide not to pursue the case. Kelli Cooper is a freelance writer who blogs about all things legal; if you are in need of a malpractice attorney in Illinois, she recommends you visit chicagopersonalinjurylawyer.com.